REINDEER, Christmas trees and Santa Claus might not be the first things that come to mind when you think about Easter and springtime. 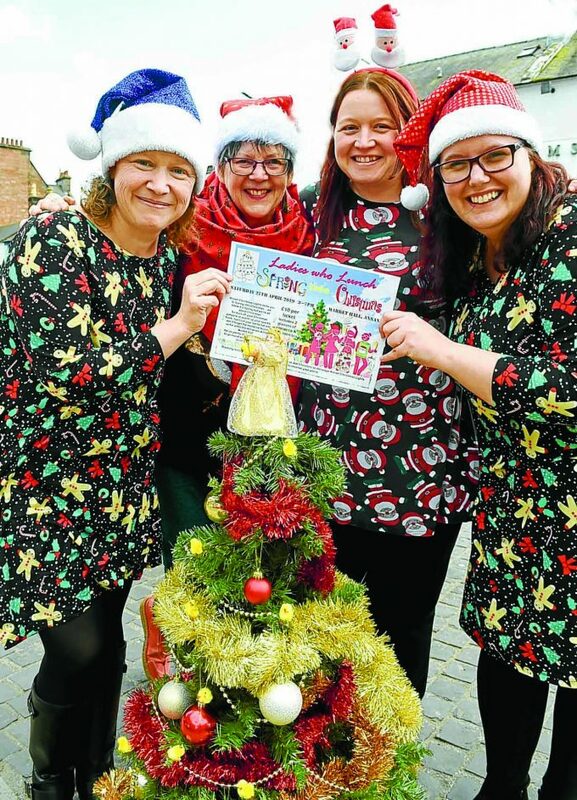 But the Annan Christmas Lights Committee is hoping to swap spring chickens for rockin’ robins at their Spring into Christmas: Ladies Who Lunch fundraiser later this month. The event at Victoria Halls in Annan on Saturday April 27 is a chance for you to dust off your festive finery or best corny Christmas jumper and join the Christmas lights team for a ho-ho-ho down – and a spot of afternoon tea. Treasurer Fiona Robson said: “Other people might not be thinking about Christmas yet, but we are, so we thought we should share the festive spirit. As well as afternoon tea, the event will also include plenty of fun and festivities. Money raised will go towards replacing and refurbishing some of the town’s lights in time for this year’s festive period. Tickets can be purchased via the Annan Christmas Lights Committee Facebook page or by emailing annan- [email protected] com and must be ordered by Wednesday April 17. The committee are also keen to attract new members to help light up Annan this Christmas, and encourage anyone interested to join them at their next meeting at the Blue Bell Inn on April 29 at 7.30 pm.